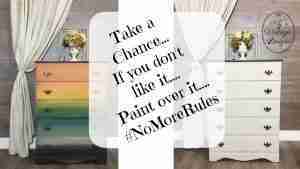 Do you sit there and look at a piece of furniture in your home thinking …..”I don’t want to get rid of this piece, but it just doesn’t look good in my room anymore” ? Are you scared to paint it because you are afraid it won’t look good ? Well, I’m here to give you some advice….. PAINT IT !!! If you are using Dixie Belle products, you don’t have to worry. Let me tell you why. First of all, there is no such thing as “NO PREP” …. Before you paint a piece, it has to be cleaned. You may think your piece is clean, but cleaning products can leave a build up or residue on your furniture which will create a barrier for any paint to be able to adhere properly. 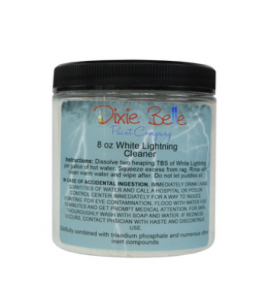 I use Dixie Belle’s White Lightening to remove the build up and also to remove all the dirt and grease from years of use. After cleaning, I make sure to rinse it well with clean water and a rag to make sure no residue is left behind…..Do Not forget to do this step…. it will help you avoid any paint easily scratching up over time. I premix my cleaner in a spray bottle and label it so that I always have it ready and available when I need it. This cleaner is similar to TSP, but better (in my opinion). Click on the image to the product link. After its clean, go ahead and start painting. 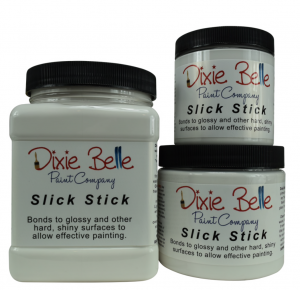 If you have a piece that is a high gloss laminate, formica, plastic, or tile / glass top, (or those Walmart pressboard laminate pieces….you know which ones I’m talking about…LOL) you can use Dixie Belle Slick Stick to make sure your paint will “stick” to the slippery surface and last a long long time. Slick Stick is a primer type product that has a bonding agent in it that makes pretty much any surface paintable. I LOVE this stuff !!! Now you’ve painted your piece and love it 😉 and decided you want to seal it with a clear wax. 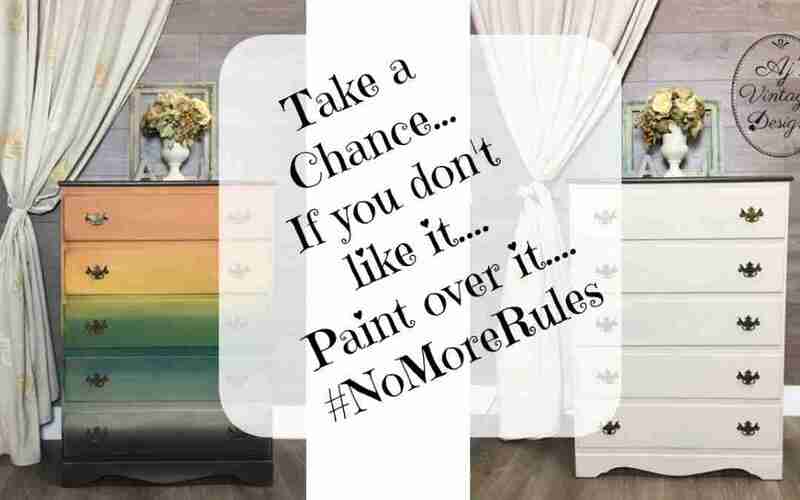 Well, here is the BEST #NoMoreRules part about Dixie Belle…… Dixie Belle’s waxes (clear, white, black, brown, grunge gray) are all waterbased waxes !! Yes, its true !! That means that if you decide you want to repaint your piece again because you wanted a different look, you can just “repaint it”. 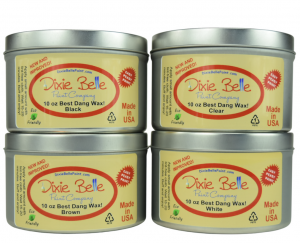 You will see comments online saying “wax is always last” or “you have to remove the wax before you paint a piece”…..NOT with Dixie Belle. Love your Friday night lives. So informative and fun! Thanks 🙂 I try to provide as much information as I can, while showing and answering questions each Friday. The bonus is….we have a blast at the same time!! !